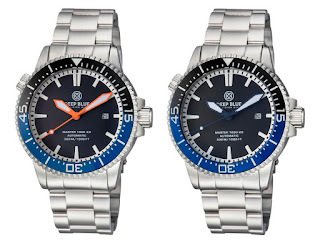 Kudos to DEEP BLUE Watches who proudly presents their newest model, the Master 1000 2.5! 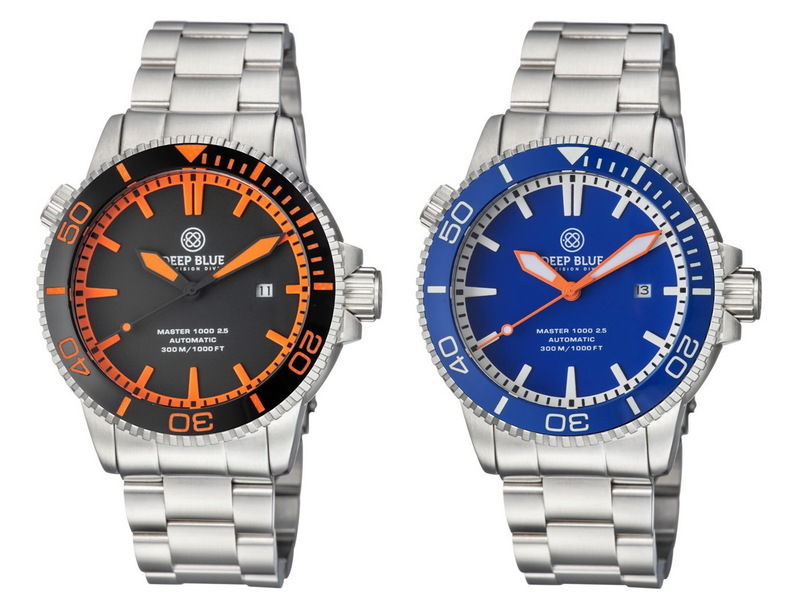 A dive watch that is the very first to make use of Miyota’s latest automatic mechanical movement; the caliber 8315 which I assume is the successor to their famous 8215. 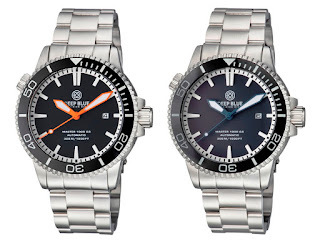 DEEP BLUE Watches has been granted exclusive first use of the new 8315 caliber, a 21 jewel movement beating at 2,1600vph and which is fully hacking. The 8315 has modifications to its Hairspring and Barrel which has allowed Miyota to facilitate the addition of a further 20-25 more hours of autonomy – giving the new movement a power-reserve of 60hrs! 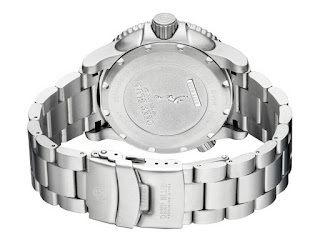 The caliber 8315 won’t be available to the wider public for a while due to the intricacies involved with its production. 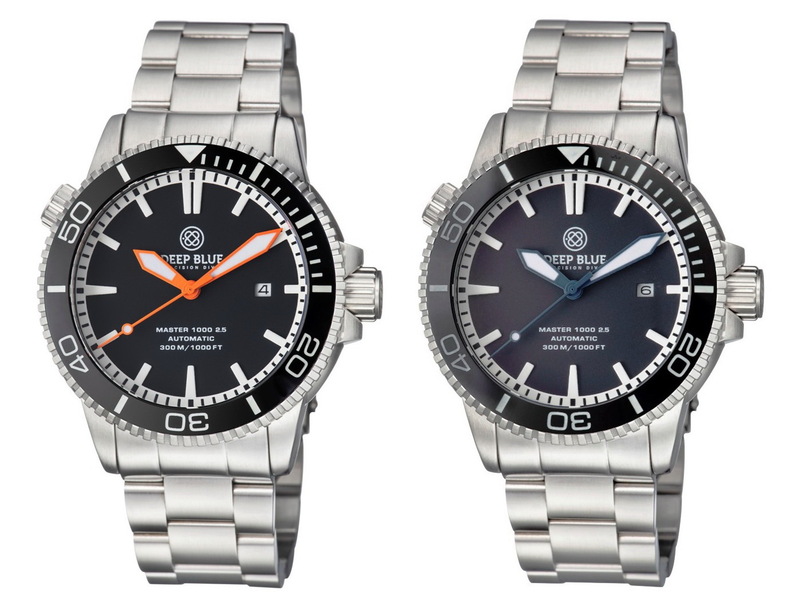 The new Miyota 8315 can be found at the heart of the Master 1000 2.5 protected by a 316L Stainless case with 1000 FT or 330M of water-resistance. 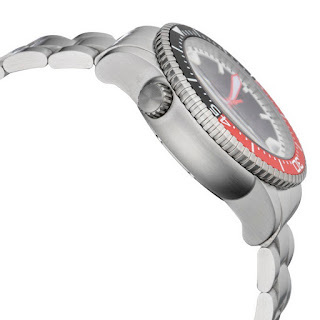 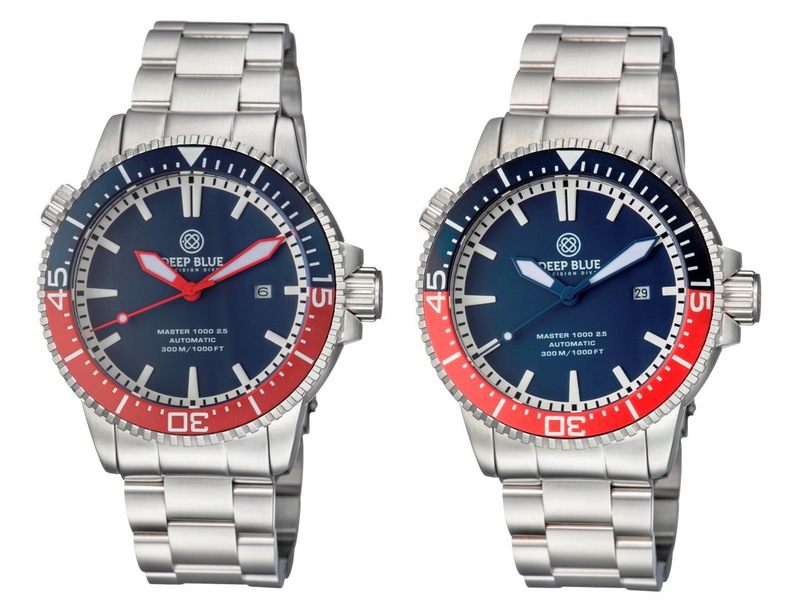 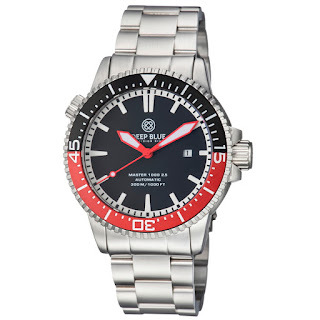 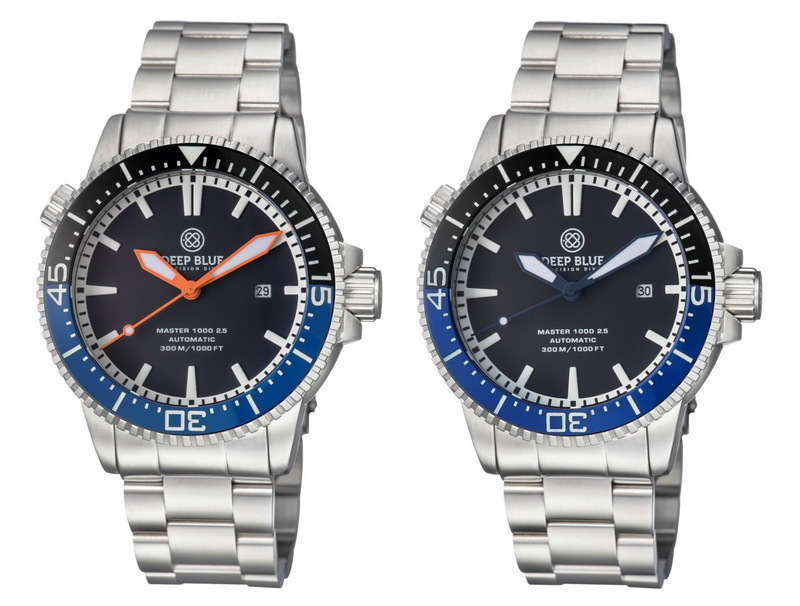 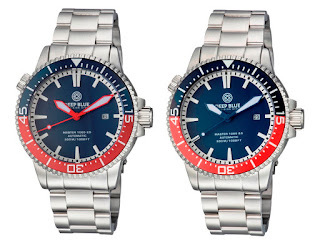 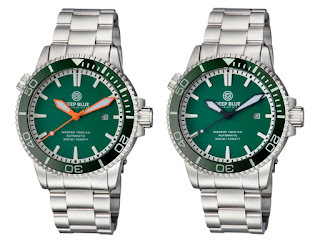 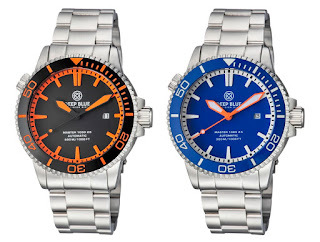 Diver’s feature of the Master 1000 2.5 include: a manual HEV, a 120-click steel unidirectional bezel with a luminous ceramic inlay available in several bi-color options. 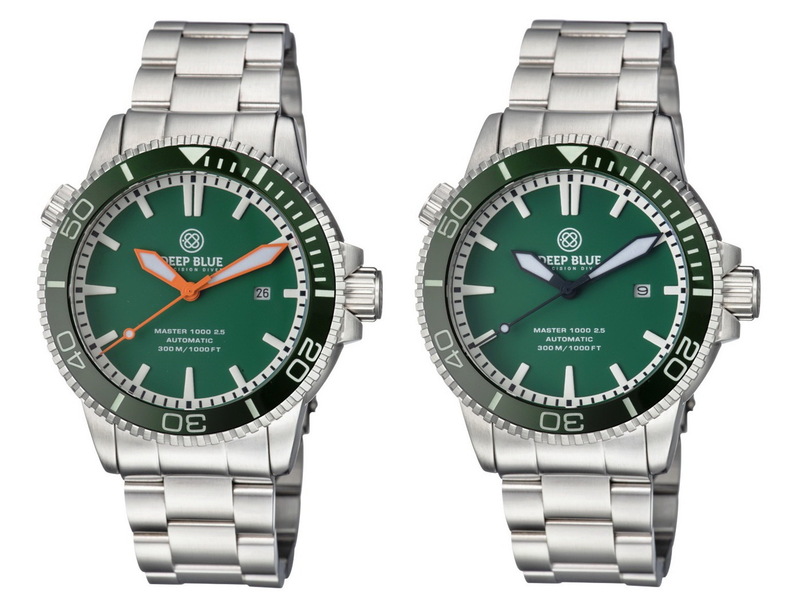 As usual this DB lineup has more colors available than a bag of Skittles including some rather tasty green variants. 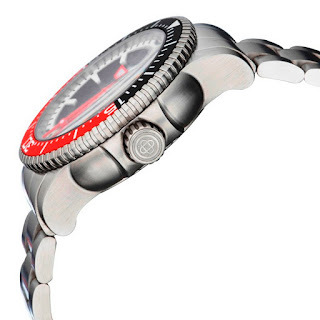 Dimensions include a 44mm diameter, a lug-to-lug measurement of 51mm and a thickness of 15mm. 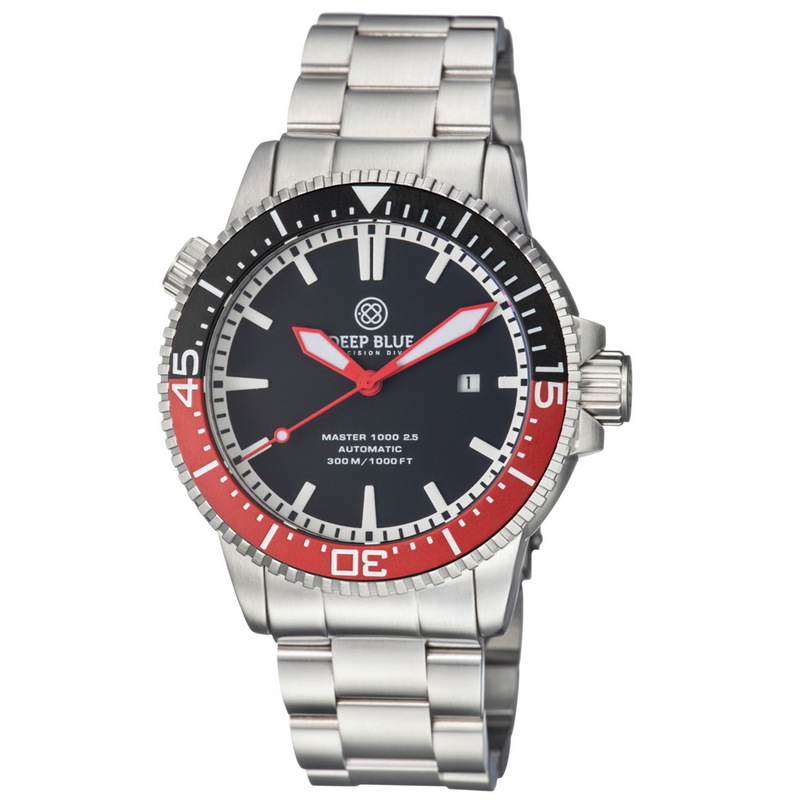 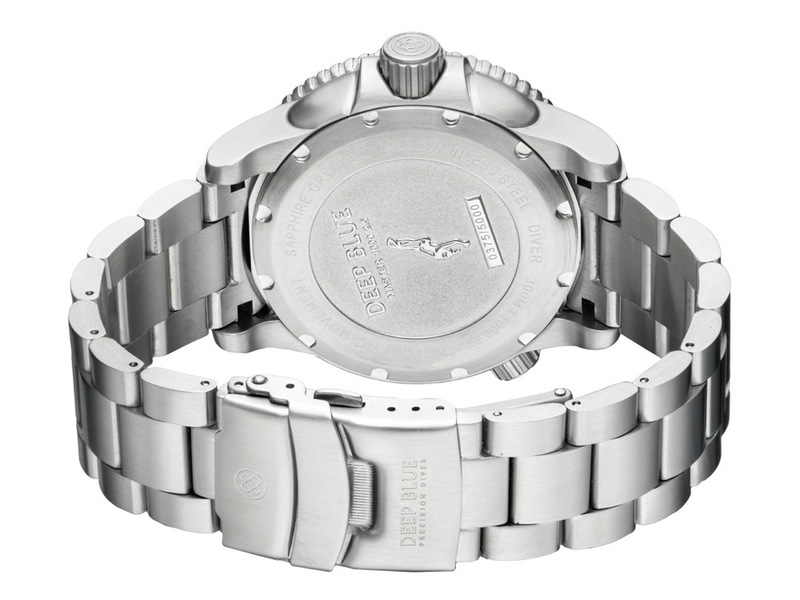 Additional diver features include: SLN lume, a screw-down crown and case-back, an AR-treated Sapphire crystal and full 22mm Stainless steel diver’s bracelet with push-button deployment.